There's something different about Betz + Blevins. That's because we don't consider the practice of law just a job. Rather, it's our vocation. It's how we realize our passion for justice. And how we demonstrate to individuals that the legal system can work for them. As advocates for individuals focusing on employment law, Betz + Blevins believes deeply in our mission of representing those who seek justice and redress for workplace-related wrongs that violate their civil rights. It's a partnership with our clients driven by principle. Betz + Blevins is known for delivering large-law-firm quality along with the small-firm advantage of topnotch personal service. With the resources to take on Fortune 500 companies and the staff to handle each case thoroughly, we’re able to work on behalf of individuals in their interactions with large organizations, for as long as necessary. As a firm, we take great pride in closely managing the process of each client’s case every step of the way. Our integrity dictates that we don't take on every case. We balance your interests—professional, financial, and emotional—with the legal and workplace realities of your dispute. Our nearly 50 years of collective experience in employment law informs our counsel to you. Our first step in working with clients is always a one-on-one consultation to determine the right course of action. Our goal is to negotiate suitable settlements or win the desired judgments for all our clients. But we also aim to provide representation conducted with our clients' best interests in mind, so that they come away with the satisfaction of having been well served. Outside of the court, we provide counsel for matters of employment such as contracts, severance agreements, non-compete clauses, and other legally binding documents, as well as workplace and professional licensing disputes. We at Betz + Blevins know that finding the right attorney to represent you is a choice not to be taken lightly. That’s why we would like you to reach out and let us know who you are and what you are facing. If we are not the best option for your effort we will help guide you to the best. Kevin W. Betz has tried more than 20 jury trials, bench trials or arbitrations in his more than 25 years of trial work. Kevin has won jury verdicts in individual rights cases of more than $300,000 in Marion County and $600,000 in Shelby County as well as a $3.1 million verdict in the federal district court for the Southern District of Indiana. See Doescher v. Raess, 883 N.E.2d 790 (Ind.2008); Morgan v. Shelby County, 835 N.E.2d 234 (Ind. Ct. App. 2005); Burton, et al. v. General Motors Corp., No. 95-1054 (S.D. Ind. Aug. 15, 2008). These were each considered ground-breaking verdicts in unique cases with novel claims. Besides other successful federal court trials, Kevin has also tried cases to juries in Delaware, Hamilton, Hendricks and Johnson counties in Indiana. In 2010 Kevin earned certification from the National Board of Trial Advocacy and is now recognized as a Board Certified Trial Attorney based on his skills and experience. In addition, in May of 2012 he also earned certification from the National Board of Trial Advocacy in Civil Pretrial Practice. He has been a master lawyer in the Sagamore American Inns of Court since 1998 (now emeritus); member of the National Employment Lawyers Association; and a founding board member of the Indiana Hemophilia & Thrombosis Center, one of the largest such centers in the country providing more than $1.5 million in free medical services to Hoosiers every year; and is an appointed member of the Indiana Supreme Court's Committee on Character and Fitness to practice law in Indiana since 1998. As well, the International Network of Boutique Law Firms (INBLF) selected his firm as its Indiana individual rights representative. To begin his career, Kevin served for two years as a law clerk for the Chief Justice of the Indiana Supreme Court, Randall T. Shepard, and then practiced for five years in the litigation department at Krieg DeVault. As an appointment by the governor, he next served as the Chief Counsel for the Indiana Department of Environmental Management during the Evan Bayh and the Frank O’Bannon administrations, overseeing more than 20 attorneys and the litigation and enforcement divisions for an entire state agency. Betz + Blevins now has five attorneys and two paralegals and since 1997 has had a successful trial and litigation practice primarily on behalf of individuals and small businesses. He has also been selected on multiple occasions as a Super Lawyer in Indiana. In 1993, Kevin created and was President of The Lawyers Bar Review, a biannual six-week preparatory course for bar candidates seeking to pass the Indiana Bar Exam. A national bar review purchased The Lawyers Bar Review in 1998. Besides serving as editor of the materials covering 26 areas of Indiana and federal law, Kevin lectured in the areas of contracts and techniques and tactics for bar exam testing. He is also regularly selected as a lecturer for Indiana and national continuing legal education programs, including a conference regarding discrimination and bullying at Yale University in 2012. Mr. Betz was also the creator and lead author from 1990-2002 of a law review article that analyzes the Indiana Supreme Court’s docket, dispositions, and voting. It is published annually in the Indiana Law Review, see, e.g., An Examination of the Indiana Supreme Court Docket, Dispositions, and Voting, 35 Indiana Law Review 1117 (2002). Mr. Betz’s undergraduate degrees are from Indiana University in journalism and political science in 1982. He also earned a master’s degree from Northwestern University in 1984. During law school, he was a law clerk from 1986 to 1988 for The Honorable Marc R. Kellams, a state trial court judge in Monroe County, Indiana. Sandra Blevins has that highly sought gem of career alignment with her sense of values. "What gives meaning to my work is the fact that I am in a position to help people and can make a difference by making the workplace more fair," she explains. "This is why I feel such a great responsibility to do an outstanding job for every client that comes through the door." Sandra's areas of legal focus cover employment law, civil rights, general litigation, and media law. Sandra has been integrally involved in assisting Kevin Betz with many of the trials in which he served as lead attorney. They have won jury verdicts in individual rights cases of more than $300,000.00 in Marion County and $600,000 in Shelby County as well as a $3.1 million verdict in the federal district court for the Southern District of Indiana. See Doescher v. Raess, 883 N.E.2d 790 (Ind.2008); Morgan v. Shelby County, 835 N.E.2d 234 (Ind. Ct. App. 2005); Burton, et al. v. General Motors Corp., No. 95-1054 (S.D. Ind. Aug. 15, 2008). Sandra is also a member of the Indiana and Indianapolis Bar Associations as well as the Seventh Circuit Bar Association and the National Employment Lawyers Association. She is admitted to practice in all courts of the State of Indiana, including the Indiana Supreme Court as well as the Northern and Southern U.S. District Courts and the United States Court of Appeals for the Seventh Circuit. Jamie began working at Betz + Blevins as a law clerk in October of 2005 during her third year of law school. She came to Betz + Blevins because she is very passionate about advocating for individuals. Since joining Betz + Blevins, Jamie has represented numerous individuals before federal and state courts, and administrative agencies, relating to their employment and other civil rights claims. These representations before federal and state courts as well as administrative agencies have provided Jamie experience at all stages of civil litigation, from pre-filing investigation through trial. Jamie received a Bachelor of Arts in Social and Behavioral Science in 2003 from Indiana University – Kokomo, where she graduated with highest distinction. While in law school at Indiana University School of Law – Indianapolis, Jamie was a member of Women’s Caucus and served as Secretary for Legal Advocates for Disability Rights in Education (LADRE). In May of 2006, Jamie graduated from Indiana University School of Law – Indianapolis. Prior to joining Betz + Blevins, Jamie served as a law clerk for Joseph M. Dietz at Meils, Thompson, Dietz & Berish in Indianapolis, and also served as a law clerk for Wood, Tuohy, Gleason, Mercer & Herrin (now Mercer Belanger) in Indianapolis. Jamie also served as an intern for the Honorable Stephen M. Jessup of Howard County, Indiana as well as an intern for United States Senator Evan Bayh in 2002. Jamie is a member of the Indianapolis Law Club as well as the National Employment Lawyers Association. She is admitted to practice in all courts of the State of Indiana, including the Indiana Supreme Court as well as the Northern and Southern U.S. District Courts. 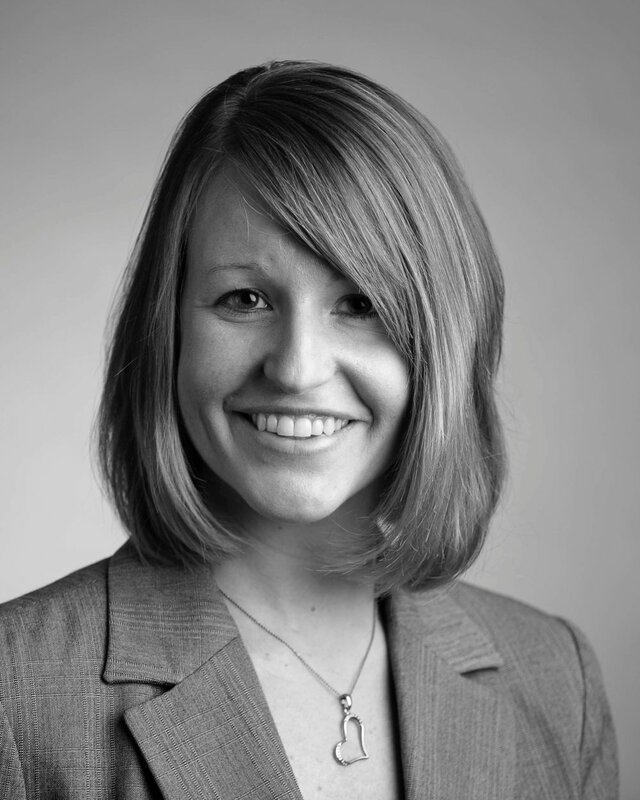 Courtney joined Betz + Blevins as an associate following her graduation from law school in November 2012. She joined Betz + Blevins because of her strong commitment to advocacy for individuals. • Litigating claim for disability harassment and discrimination for public safety employee. • Representing physicians, university professors, and corporate employees in contract negotiations. • Representing clients in retaliation and discrimination claims before the Seventh Circuit. Chad began working at Betz + Blevins as a law clerk in May of 2018 after graduating from law school. He came to Betz + Blevins because he has a great interest in all facets of employment law and civil rights litigation. Chad received a Bachelor of Arts in Political Science with a Minor in Criminal Justice from Indiana University, where he graduated in 2015. While in law school at Indiana University Robert H. McKinney School of Law, Chad was a member of the Health Law Society. Chad was also a Student Note Candidate for Volume XXVII of the Indiana International and Comparative Law Review, and the following year was elected to the Executive Board as the Executive Notes Development Editor for Volume XXVIII. In May of 2018, Chad graduated from Indiana University Robert H. McKinney School of Law. Chad is admitted to practice in all courts in the State of Indiana, including the Indiana Supreme Court as well as the Northern and Southern U.S. District Courts. I am the Senior Paralegal at Betz + Blevins, and I provide legal support to the entire firm. I am actively involved in case management as well as communications with clients and opposing parties. I generate preliminary drafts of legal pleadings and correspondence, and conduct legal research in a variety of cases. I regular assist partners in trials and hearings as well as in preparing for trials. I am well versed in and experienced in cases involving electronic discovery issues. In addition to paralegal duties, I am also the firm administrator and perform a variety of duties at Betz + Blevins including bookkeeping, monthly billing to clients, personnel matters and general office management. I am a graduate of Indiana University–Indianapolis, having received a Bachelor of Arts degree in political science with a minor in legal studies. I am a member of the Association of Legal Administrators and the Association of Legal Administrators–Indiana Chapter. Since 2011, I have been the Internship Chair for the ALA L.I.F.E Beyond Shortridge Program, which teaches students at Shortridge Magnet High School about various aspects of working in law firms and provides opportunities for paid internships each summer. Allyson Utley joined Betz + Blevins in 2016 as our Director of Accounts. She came to Betz + Blevins because of her similar beliefs and love for helping people. Allyson does the monthly billing, Accounts Receivable and communicates with clients regarding their accounts on a monthly basis for Betz + Blevins. She manages each account closely for the Office Manager and Partners at the firm. She also works closely with clients to help them through what is often an unfamiliar process for individuals. In addition to monthly billing, Allyson tracks the Attorneys time entry on a daily basis and assists the Partners with getting their detailed time into the system, so clients are always up-to-date on what the attorneys are working on with their cases. Allyson is also part of Betz + Blevins Administrative team and provides support to our Office Manager/Legal Administrator in daily tasks and needs. She drafts and finalizes all client Engagement letters and Distribution letters and communicates with clients regarding the terms of their engagement with the firm.